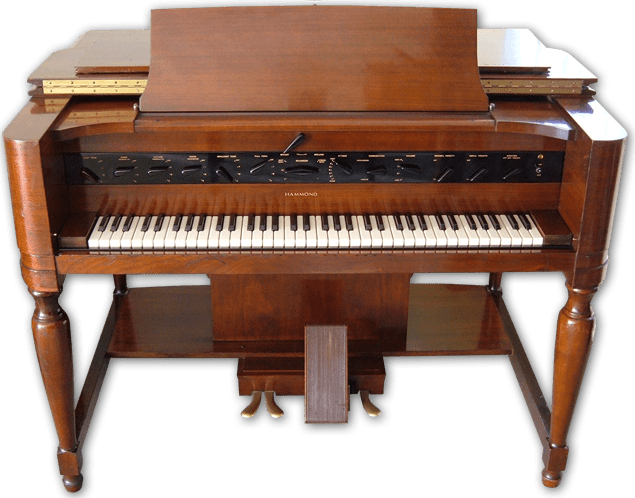 The Hammond Novachord was manufactured by the Hammond Organ Co in the USA from 1939 to 1942, designed by Laurens Hammond, John Hanert and C.N.Williams. 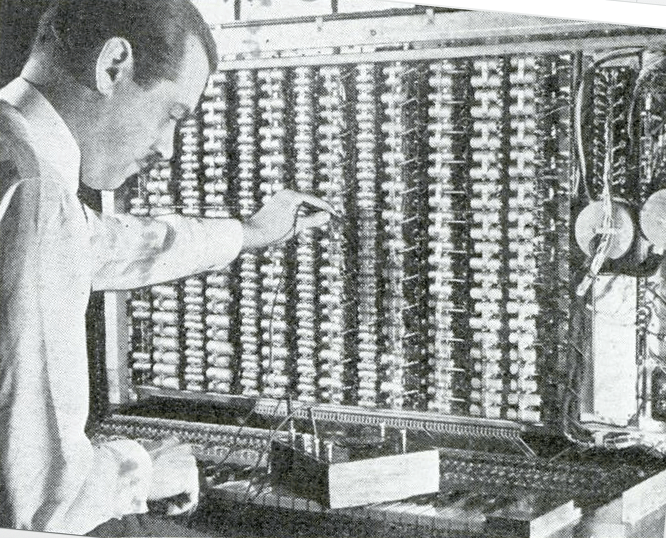 A total of 1096 models were built.The Novachord was a polyphonic electronic organ and was Hammonds first electronic tube based instrument – a departure from his usual tone-wheel designs. The Novachord was a much more complex instrument than the Solovox Hammond’s other electronic tube-based instrument. The Novachord had 169 vacuum tubes to control and generate sound and was played on a seventy two note keyboard with a simple pressure sensitive system that allowed control over the attack and timbre of the note. The sound was produced by a series of 12 oscillators that gave a six octave range using a frequency division technique; the Novachord was one of the first electronic instruments to use this technique which was later became standard in electronic keyboard instruments. 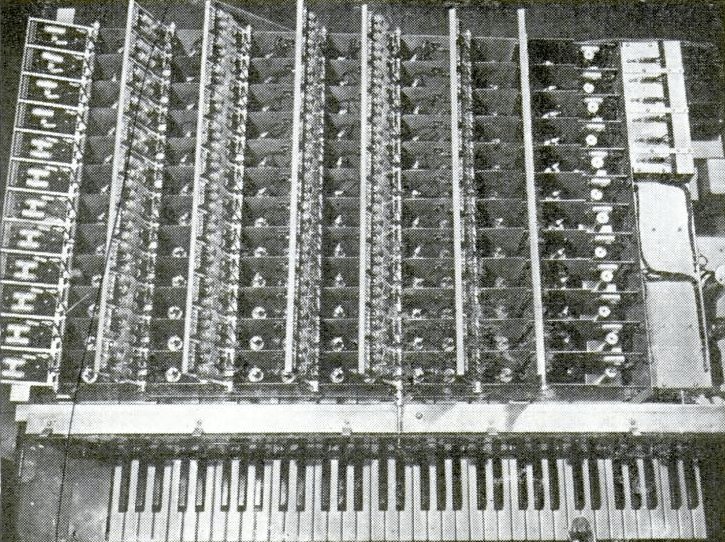 Novachord Orchestra: Introduction of The Hammond Novachord at the New York World’s Fair 1939 – 1940. Picture shown as a Nova chord in magazine is Not a Nova chordbut a Hammond Organ! Oh yes. You are correct. I’ll check the source but I think that’s what was in the magazine…thanks! Thank you for sharing all the informations in this nice site! The infamous Novachord #346 in action…. This quarter ton 163 tube beast is 80 years old in 2018!! ..and another test recording of Novachord #346 trying out the direct line output modification into modern effects (chorus/delay/reverb) shortly after returning her to life during partial restoration in 2009.. I am trying to contact Dan Wilson re Echert’s Novachord. does using Novachord require high capabilities?